"It's important to change the narrative in Africa," says Vani Nadarajah, director of admissions at the African Leadership University (ALU) School of Business. The one thing that can never be overestimated about Africa is its potential. But the one thing that can never be underestimated is its diversity: best practice in Nigeria, for example may be a fatal mistake in say, South Africa. For now, that's an obstacle Africa's young leaders will need to overcome in order to take the continent into a prosperous future. But if the ALU achieves its vision, that diversity of expertise will be synthesized into a major asset. "Existing business schools in Africa tend to be very regional in perspective and cohort," Vani—who worked as an admissions director at Yale School of Management and IE Business School before ALU—explains. "Rising professionals know how things are done in their region but not beyond that. Nevertheless, they have the desire and passion to make a pan-African impact,” she continues. “Our objective is to give them the tools, knowledge and network to successful in any part of Africa. We are steeped in the African context. We invite faculty, recruit students and write cases from around the continent." 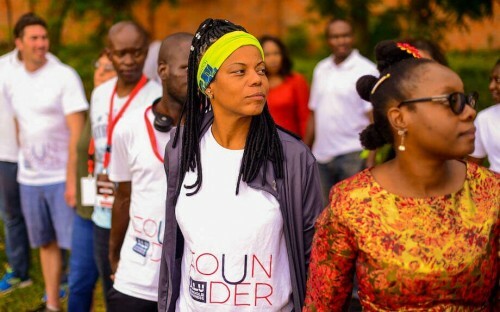 ALU describes itself as a network of world-class tertiary education institutions whose mission is to produce three million young African leaders over the next 50 years. ALU’s first campus was inaugurated in September 2015 in Mauritius, with a second campus established in September 2017 in Kigali Heights, Rwanda. Rwanda is fast becoming one of Africa's most dynamic innovation hubs. The nation's president, Paul Kagame, is currently chairing the African Union's talks on bringing down barriers between countries. It seems a perfect place for a pan-African business school to set down roots. Oluwatoyin ‘Toyin’ Arowolo, from the MBA class of 2018 says: “The core of the program has been leadership, but it’s also been ethical leadership and, more than anything, that’s what Africa needs.” Oluwatoyin is a Nigerian entrepreneur, with plans to expand beyond Nigeria. The ALU admissions team are looking for candidates who care passionately about Africa and making an impact, who are hungry to lead and ready to move into more strategic roles in their careers—people who will change business models, solve problems and make a lasting and sustainable difference. The school also offers a specialization for conservation leaders. As environmental thought leaders, these students can lead and accelerate environmental efforts on the continent, while networking with their MBA classmates. The ALU School of Wildlife Conservation is the first of its kind on the continent, dedicated to teaching conservation new and innovative approaches in the business of conservation. ALU recently hit a milestone with the graduation of their first MBA class. "We made a very strong start with this benchmark group," says Vani. "Many had changed jobs or moved geographies in their quest to improve themselves. These students are pioneers and risk-takers. 40% were women. We're very impressed they took a chance on us and invested in us." ALU has prioritized students' ability to balance their studies with their work commitments, as they believe that "the best way to learn leadership is by practice, not theory", and that by applying their lessons in the workplace students can achieve an immediate impact. The result is a blended curriculum that incorporates both classroom-based and online learning. Over the 20-month course, students are required to visit the Rwanda campus six times for week-long sessions. There they are taught and mentored by prominent business leaders from across Africa—the program strives to plug students into a pan-African network of contacts and collaborators. Funding is the biggest obstacle facing ALU MBA candidates—another reason students are encouraged to remain employed for the duration of the program. Most rely on loans, employer funding or their own savings. ALU has worked hard to keep the cost of the MBA down to $30,000, compared to $200,000 for a top-10 US school. "We have brought the relative cost down but the next step is to better explore funding options," says Vani. This includes looking at ways to become better aligned with corporate funding cycles and provide more flexibility. What's next for the ALU? "Over the next few years, we'll be building our brand and getting the word out," says Vani. "Now that we have our first alumni, we have to build ourselves as a school. We want to grow."